"Don't Let Pain Become a Killer"
Keep up-to-date with changes in rules with rules interpretation bulletins or download a schedule of sports' events. PIAA is now part of the NFHS Network. Sign up today to watch your favorite high school sporting events live, on demand and on the go here on the NFHS Network! There are many benefits to becoming an official. You stay involved in athletics after your playing days are over and are giving back to the sport you love. You are providing support for teenagers in your community while earning extra income. 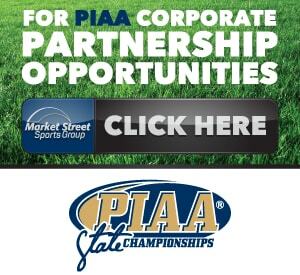 The PIAA Handbook contains information regarding the PIAA Constitution and By-Laws, Policies and Procedures, Rules and Regulations, Sports Medicine Guidelines, and Forms. Look here for all of your PIAA sports apparel needs. Looking for rules books, handbooks or other publications? Look no further.